Recognition is once again given to Malaysia’s only postpaid mobile virtual network operator (MVNO) for its ongoing excellence and unmatched growth over the previous year. 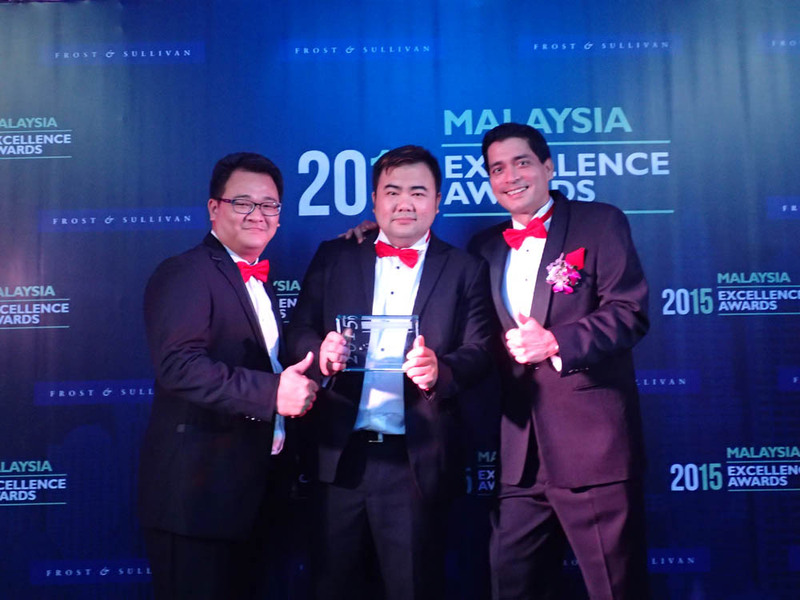 PUCHONG, SELANGOR, 15 April 2015 – redONE Network Sdn Bhd the country’s only postpaid MVNO, was named MVNO Service Provider of the Year at the 2015 Frost & Sullivan Malaysia Excellence Awards held in Kuala Lumpur yesterday. The annual Frost & Sullivan awards recognise companies that rise above the competition through their outstanding achievements and superior performance. The award marks a second consecutive win for redONE, which has gone from strength to strength since its corporate rebranding to redONE in January 2013. Farid Yunus, Chief Executive Officer of redONE was present to accept the award. “We are extremely pleased to win this award for the 2nd year in a row. This award is dedicated to our 200 plus employees, 3,000 plus agents, and 600,000 plus customers, all of whom have shown their trust and belief in redONE,” he said. “We are also grateful to our network service provider, Celcom Axiata, for providing us with the widest and best network in the country. With their continued support, we expect to pass the 1 million subscriber mark by October this year.” he added. The selection of redONE as the MVNO Service Provider of the Year was based on a number of parameters including subscriber and revenue growth, market share, ARPU (average revenue per user), and for its unique marketing and channel strategy. Frost & Sullivan’s Best Practices Awards recognise companies in a variety of regional and global markets for demonstrating outstanding achievement and superior performance in areas such as leadership, technological innovation, customer service and strategic product development. Industry analysts compare market participants and measure performance through in-depth interviews, analysis and extensive secondary research in order to identify best practices.